Willow Smith’s showbiz career began very early, but now the young star has revealed she is lost and that she has taken a step back from the public eye to find herself. Willow Smith may be just 13, but she has already experienced far more than most kids her age, and she launched her singing-acting career early in her life. But all of that attention and pressure of being in showbiz as a little kid could be affecting the “Whip My Hair” singer because she has declined a major role in the musical movie remake Annie. Why? She needs time to find herself and decide who she wants to be in this world. The much anticipated remake of Annie was announced in 2011 and is being produced by Hollywood heavyweights Will Smith and Jay Z. The roles of Annie and Daddy Warbucks were originally meant to be played by Smith and his daughter. But since that is not going to happen, Jamie Foxx is now set to take on the role of Daddy Warbucks and Quvenzhané Wallis will star as Annie. 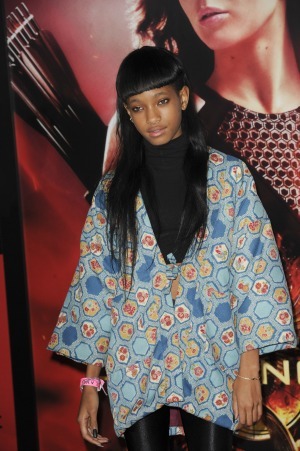 Willow was born into fame as the daughter of Will Smith and Jada Pinkett Smith, so she is no stranger to being in the public eye. But the young star revealed to V magazine via E! News why she decided not to star in Annie. Although many people view the I Am Legend actress as precocious, she is certainly a profound thinker, and perhaps she has made the right move in taking a step back from the limelight.